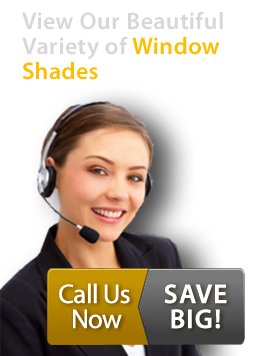 Prestigious Blinds offers many of the top brand names in shades and blinds. 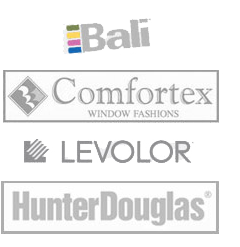 Among these brands, we have a wide variety of Hunter Douglas window treatments. 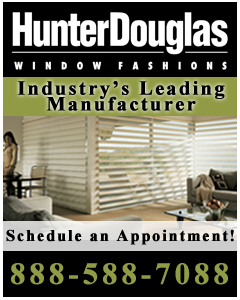 For over 60 years, Hunter Douglas has been a prominent name in the window treatment industry. They became an industry leader by using their skills to make fine customized dressing for windows. All of their products are designed and custom assembled in the United States. Hunter Douglas shades and blinds are customized with an American design and craftsmanship. 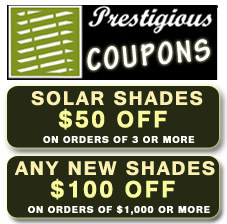 They have built a name by creating unique window treatments using high quality materials. Hunter Douglas uses a wide selection of soft fabrics, including opaque and translucent materials, to make their window shading. If you would like more information on any of our Hunter Douglas window treatments that are available, call Prestigious Blinds at 888-588-7088.